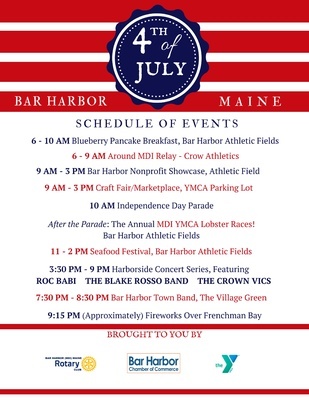 Events take place throughout the Town of Bar Harbor, from the Ballfield on Park Street all the way to Agamont Park. 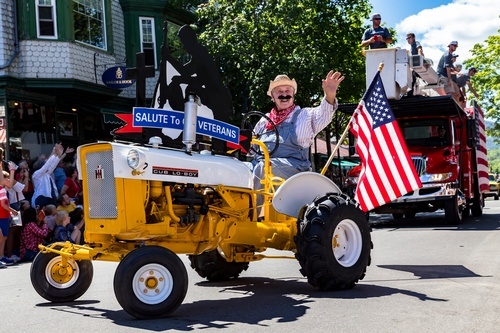 Bar Harbor’s Fourth of July has been voted the #1 Fourth of July celebration in America by the Today Show, and recognized by National Geographic as one of the top ten in the U.S. With a full day of events, there are so many ways to enjoy the holiday, it’s no wonder that people love spending the Fourth in Bar Harbor. Bar Harbor (MDI) Rotary Club, Bar Harbor Athletic Field, Park Street. Blueberry or plain pancakes, sausage, juice, milk and coffee. A fun morning feast for the whole family, and a great way to fuel up for the day ahead! 100-kilometer relay route encircles picturesque Mount Desert Island. Clink here for more details. Bar Harbor (MDI) Rotary Club, Bar Harbor Athletic Field, Park Street. A variety of Maine nonprofits sell goods, raffle items and provide information on their nonprofit organization. The Island Arts Association will hold a Craft Fair/Marketplace at the YMCA, 21 Park Street, featuring a wonderful selection of Maine crafts, including jewelry, quilts, photographs, pottery, and porcelain dolls. Please join us for this joint fund raiser for the YMCA and the YWCA. Please call the YWCA at 207-288-5008 for additional information. The community shows off its patriotism and good humor while highlighting this year's parade theme of "Peace, Love, & the Fourth of July." 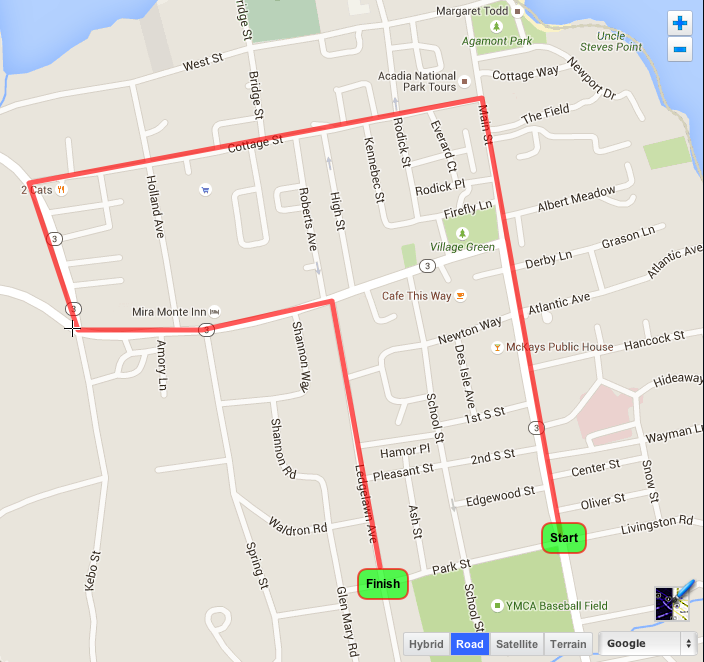 Parade route winds through downtown Bar Harbor from Main Street to Cottage Street to Eden Street to Mt. Desert Street to Ledgelawn Avenue. Click here to download a map of the parade route.  To be a part of the 2018 parade lineup, click here for an application. Bar Harbor (MDI) Rotary Club, Bar Harbor Athletic Field, Park Street. Enjoy lobster, mussels, corn, strawberry shortcake and more at the area’s largest seafood festival! After the Parade, MDI YMCA Annual Lobster Races! Bar Harbor Athletic Field, Park Street. Watch local businesses put their lobsters to the test in a high-speed crustacean contest where guts and determination will reign supreme. Proceeds benefit the MDI YMCA Scholarship Program. For more information contact the MDI YMCA, 207-288-3511. Free live concert during the Seafood Fesitval. Family -friendly tunes as you bet on your lobster or have one for lunch. Free concert series in Agamont Park leading up to the fireworks. With family-friendly tunes for dancing and listening as you wander by the harbor or stake out your seat for the fireworks! This year's performers are the Roc Babi at 3:30pm, Blake Rosso Band at 5:30pm, and The Crown Vics are on at 7:30pm. Free concert on the Bar Harbor Village Green, Main & Mt. Desert Streets. For over 100 years the Town Band, comprised of amateur musicians from around the region, has entertained thousands of locals and visitors. Enjoy the spectacular display on the waterfront, downtown Bar Harbor. 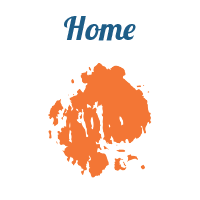 Sponsored by Ocean Properties and the Bar Harbor Chamber of Commerce.